Discussion in 'Forum Feedback & Suggestions' started by Ahmad, May 19, 2016. Seems to be a restriction @eva2000 ? It's been happening for a few days actually, first I thought it was random but it's happening regularly. I always use "New Posts" to browse the forum, so only read the latest stuff. It happened to me every day. 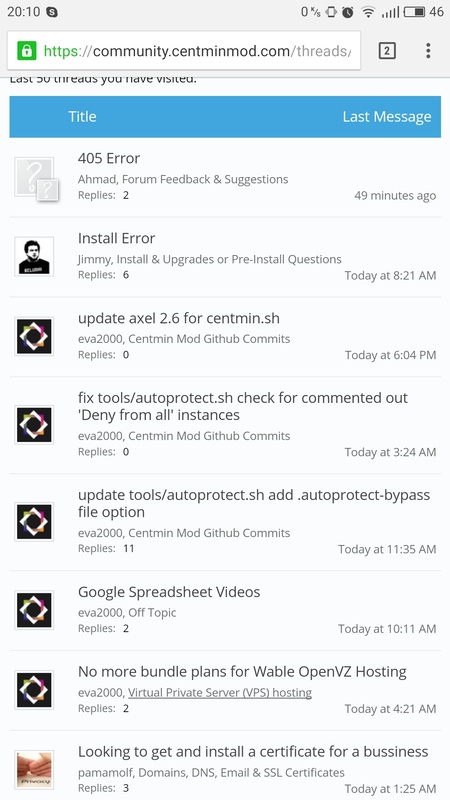 I open centmin new posts and then I open every listed thread with new post in own tab. Then regulary I get same 405 error on some tabs. Just hit refresh and it is gone.